The LIGHTENED METHOD is one of many ways to overcome barriers. 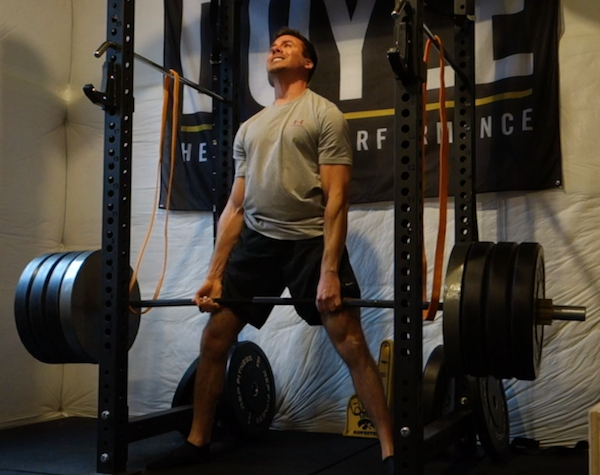 Has one of your lifts hit a plateau? Maybe the demands you’re placing on your system aren’t great enough. The LIGHTENED METHOD enables a lifter to increase demand, alter acceleration rates, and most importantly: crush that plateau! Strength comes through adaptation. Adaptation comes from the appropriate stimulus and recovery. With the LIGHTENED METHOD, we increase the stimulus with a little help from our friends-bands. In this method, we use bands to manipulate rates of acceleration. They’ll provide a bit of help at the start of the lift, then no help near the end. This enables us to build strength by exposing ourselves to a heavier load than we’re used to handling (increased demand), and training to accelerate throughout the entire lift (altered acceleration). Training Logs: Log Your PR’s!